June 7 - 9, 2019 at the Maryland SoccerPlex in Germantown, MD! 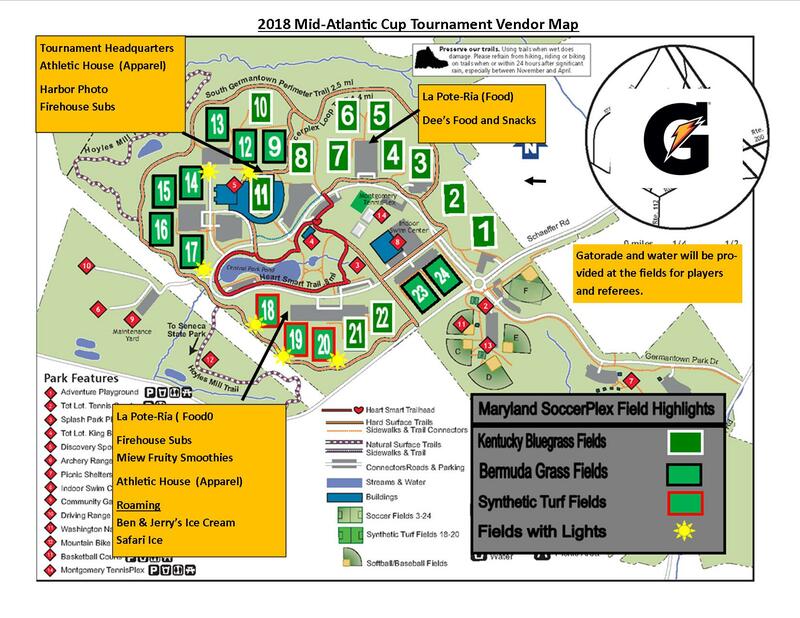 Played at one of the nation's finest soccer complexes, the Mid-Atlantic Cup welcomes recreational, classic/select, and travel level clubs to participate. Experience the joys of playing against fun and quality competition on some of the nicest fields in the country at the prestigious Maryland SoccerPlex. Discounts available for clubs that bring multiple teams. Contact Tournament Director for more information. All teams are guaranteed three (3) matches. REGISTRATION DEADLINE IS MAY 12th. The 2019 Mid-Atlantic Cup will follow the calendar year for age eligibility. Players must be born on or after the following dates to play in that age group.